Zoya Tickled: Six pigment packed, full coverage creams shades to glide onto your nails. Be ready to stand out in the crowd - the eyes of the world will swoon over these beauties. 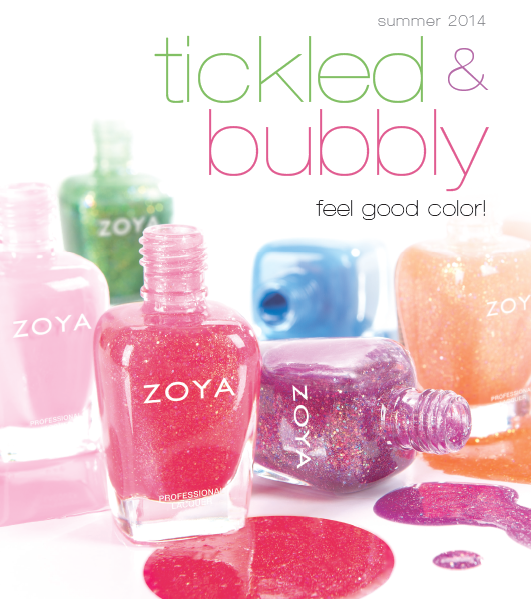 Zoya Bubbly: Six dazzling hues loaded with shimmering holographic glitter particles. This is color made to dance in the light and deliver great color well into the night! Buildable formula - great for layering. Both sets are available for preorder at zoya.com starting today.